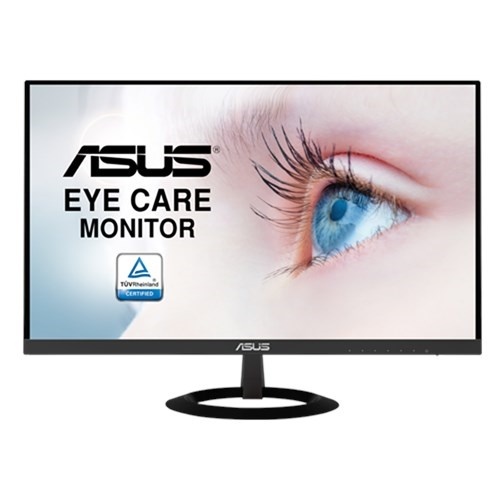 Asus VZ279HE full HD IPS pannel (1920x1080) 27 inch ultraslim frameless eye care monitor has extraordinary viewing angel of 178° & 5ms (Gray to Gray) response time ideal for work and entertainment. Its eye care TÜV Rheinland-certified feature includes flicker-free and blue light filter to ensure a comfortable viewing experience and less eye fatigue while viewing for longer period. This spectacular 7mm-thin chassis design with ultra-slim, frameless features makes it suitable for multi-display setup. Buy this stylish monitor for your home of office at the best price in Chattagram, Khulna, Rangpur, Dhaka & Sylhet. Place your order at Star Tech online shop and have the delivery at any place in Bangladesh.